This peak is unnamed on OS maps. On William Bald's map of Co. Mayo (1830) it is named Knockletragh. Previously Owenduff Hill in MV. Cnoc Leitreach is the 722nd highest place in Ireland. 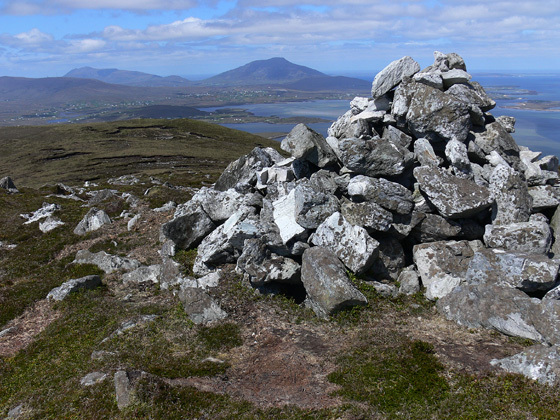 Cnoc Leitreach is the most easterly summit in the Achill/Corraun area.